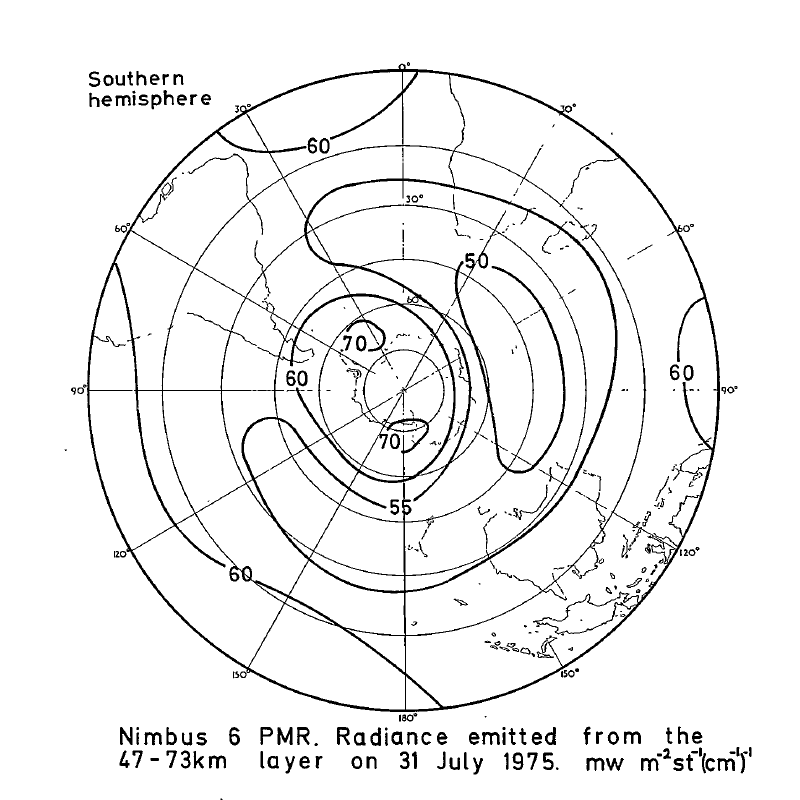 PMRN6L1RAD_CDROM is the gridded Nimbus-6 Pressure Modulated Radiometer (PMR) Level 1 Radiance Data Product. The radiances are measured at CO2 lines in the 15 micron band. The purpose of the PMR experiment is to measure the temperature of the upper stratosphere and mesosphere from 40 to 90 km with a vertical resolution of about 10 km, and 500 km horizontal resolution. This product contains radiances in a daily 4 degree latitude x 10 degree longitude grid format, as well as copies of the original tapes. The data for this product are available from 16 June 1975 to 24 June 1978. The principal investigator for the PMR experiment was Dr. John T. Houghton from Oxford University. This product was created by the Oxford University's Atmospheric, Oceanic and Planetary Physics (AOPP) group. The data are stored on two CD-ROMs in ASCII files of hexadecimal characters, and are available in gzipped Unix tar archive files. The first CD-ROM contains the gridded radiance data and a few original tape data files, the second CD-ROM contains the remaining compressed copies of the original data tapes. The byte-ordering in the data files follows the DEC convention for 16-bit integers of less significant byte first. Normal 2's complement integer storage is assumed.